Paranormal Activity – A young couple films the weird events that stalk them learning not to mess with Ouija boards in a horror flick that’s more suspense than gore. Watch at night on the big screen for optimum scare. Adam – A young man with Asperger’s struggles with change and love realizing his own capacity to feel in this comedic tear-jerker. Great rewatchability for rainy cozy sweater days. The Men Who Stare at Goats – Military hippies create a Jedi army discovering the magic power inside them in this tongue-in-cheek look at psychic warfare. Good, but not great – wait for the DVD. The Hurt Locker – A bomb disarmer finds his place in Iraq accepting his adrenaline addiction in a realistic war movie. Awesome on a big screen and def Blu-ray worthy. Garfunkel and Oates are Riki Lindhome and Katie Micucci. The two actress/singers spread their wicked humor and innocent sound in the growing genre of comedy folk music. The duo plays up the contrast between their naive appearance and decidedly NSFW lyrics. A perfect blend of civility and cruelty – Garfunkel and Oates sing what you what you’re really thinking. The recently released their first EP, “Music Songs,” on iTunes. Below is their most PG song. “Present Face” is a Christmas themed ode to unwanted gifts. You there! Yes, you, you hope-killing hipster. Who do you think you’re fooling with your too tight man pants, your disheveled range rover, your ron jon surf shop sticker and your singing shoes? What do you think you’re doing with your wannabe crooning, your Weekend beat leeching,your pbr party throwing and your ironic logoed t-shirt designs? You think you’re a jackal, but you’re just a jackass. Try to take a Zebra out, and you’ll be licking your wounds. Cause we’re a tight group, and we don’t let a filly down. 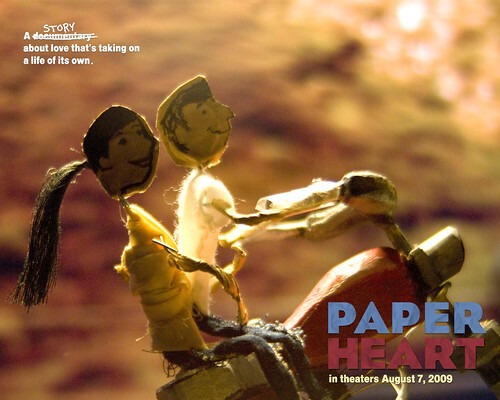 Some friends and I went to see Paper Heart yesterday at the Carmike Wynnsong on Shawnee St. It is a quasi-documentary starring Charlene Yi as she tries to find out if love exists. She crosses the country interviewing friends, scientists, couples, workers of wedding chapels and divorce courts, and even kids on a playground. 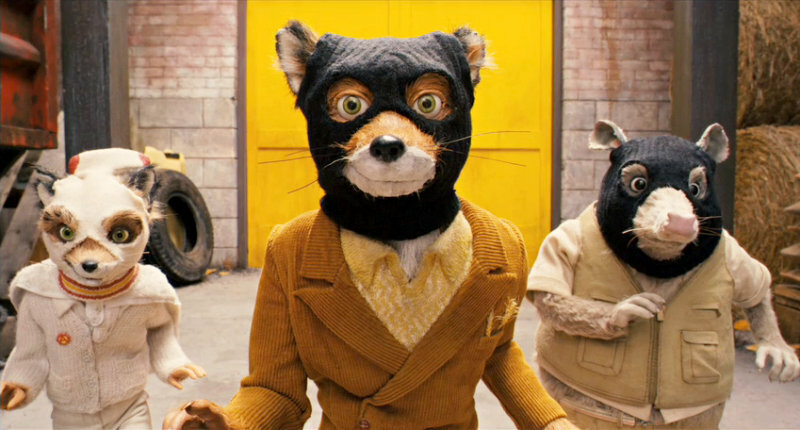 The film’s scenes are intercut with puppet shows reenacting important scenes from couples’ relationships. I won’t say it was disappointing (I had pretty low expectations for the film after reading many a negative review), but, as a group, we did have a few complaints. 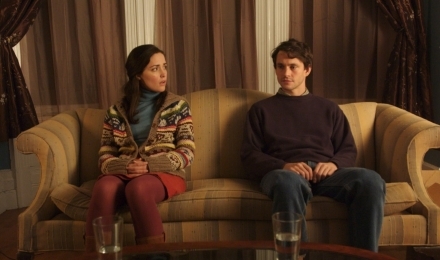 One, Michael Cera did not have enough screen time. If you were going to Paper Heart to see your favorite nerdy boy crush, you might be disappointed. Charlene Yi is the clear star of the piece. Two, it felt really short. At 88 minutes, the film was pretty average in length, but a weak story arc left if feeling unfinished. Three, the title was too ambiguous. What does “paper heart” mean? Is it a reference to the fragility of love? the fakeness of love? the presence of paper puppet reenactments? I really don’t know. Finally, it wasn’t that funny. Yes, there were some laughs, but nothing worth buying a movie ticket for. If you want to see it, I suggest waiting for the dvd. If you are going to go, realize the best parts are the puppets and the kids. Be on the lookout for the boy with unusually insightful dating advice. All About Steve is really all about Sandra Bullock’s performance as Mary Horowitz, the socially awkward crossword creator. In Mary, Bullock is willing to put herself aside and take on a quirky, annoying and yet lovable persona for laughs. Some critics have said the film is a horrible romantic comedy churned out for Middle America, but they’re missing the point. All About Steve is not a romantic comedy. It’s just a comedy. In fact, it deserves praise for going out on a limb with a female writer, Kim Barker, and a female comedian, Sandra Bullock. Many producers don’t see an audience for films like All About Steve unless they are promoted as chick flicks and romantic comedies. But despite the title, this movie is not all about Mary finding a man. It’s all about Mary finding herself. I’m not saying All About Steve is perfect. (The arc of the story was unbalanced and the last part of the movie felt like Ace In the Hole.) What I am saying is, just give it a chance. I guarantee it’s worth some laughs and really, what else can you ask for from a comedy?